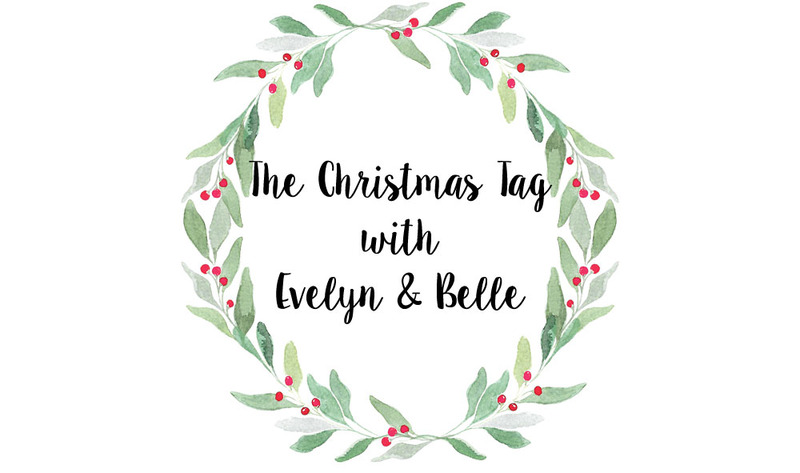 I was planning on doing the Christmas Tag myself for this blog post but thought I've probably answered the majority of these questions in a round about way in my previous Blogmas posts, so I decided to rope in my nieces (Evelyn - 7 and Belle - 5) and ask them instead, plus they're a lot more entertaining than me! Evelyn - "I really like The Grinch because it's funny. I like it when The Grinch dances and wiggles his hairy bum!" Belle - "I like The Santa Clause because I like it when Santa falls off the roof and I love when the reindeer pumps like this (makes pumping noise)! Evelyn - "Presents and all the food because its a really nice thing with family and friends at Christmas." Belle - "Turkey and nuts." Evelyn - "The turkey and pistachios." Belle - "Turkey, nuts and wine." What gift do you want the most this Christmas? Evelyn - "Lego Funfair because it looks so cool and it's going to be so cool." Belle - "Lollipop Maker because I want to make lollipops then eat them." Evelyn - "I Wish It Could Be Christmas Everyday because it's nice and jolly and I like to shake my hips to it." Evelyn - "Opening my presents and seeing ones from my list. I got really excited when I saw my Puppy Suprise because I forgot to put it on my list cos I was really really busy with life, but Santa read my mind and knew cos I was wishing out my window and he saw me!" Evelyn - "Not to eat sweets for 2 months, and I really mean it Auntie El so stop looking at me!" Belle - "To start carrying my own school bag for mummy." Can you both name all of Santa's reindeers? Belle - "I know! Cumin, Donner, Blitzen, Mole cos I like that name, urmmmm Blitzen." Evelyn - "Oh and Rudolph!" I hope you enjoyed this post. These are their genuine answers typed up word for word, and I can assure you Belle has eaten turkey and nuts on other days other than Christmas! Leave me a link below to your Christmas tag, I'd love to have a read!